This is piece one of two, part of an all day collaboration between Bart on myself. 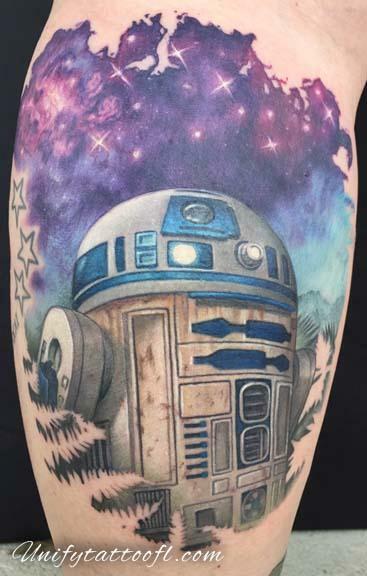 R2-D2 on my long time client and friend's leg paired with Wicket on the other side. The pieces were designed to go together and each one took the entire day.